So what’s with John Grisham and York? 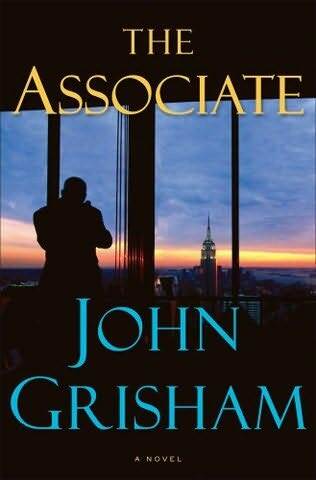 The inside dust jacket of John Grisham’s latest book, “The Associate,” sets the stage for his newest legal adventure. In the book itself, Kyle’s father has a law office on Market Street. Kyle visits his father in York and they go to dinner at Victor’s Italian Restaurant. In fact, references to York are liberally sprinkled throughout the book, giving York some literary immortality. The author even writes that the fictional McAvoy was a member of the Central York High School Class of 2001. Now that ought to cause a lot of folks to search for their yearbooks. But this is not the first time Grisham has mentioned York in one of his books. In 2005, in “The Broker,” his hero passes a note to a retired vacationing school teacher from York. Now, Grisham is not quite as productive as the factory-like Danielle Steel, but he averages about a book a year. This is his 22nd book, several of which have become feature films. So why does a guy who lives in Charlottesville, Va., mention a York connection in two of his books? And how does he know about Market Street and Victor’s Italian Restaurant on South Ogontz Street? And Central York High School? That’s more than “throw the dart at the map” geography. “There’s a pretty simple answer,” Grisham said in a telephone interview this past week. In 1996, as a coach of his then 13-year-old son’s baseball team, “we traveled to York for an invitational tournament. It was one of the best tournaments we ever attended,” he added. So, what about Victor’s Italian Restaurant? Ann Marie Yost, one of the owners of Victor’s, is baffled by the mention in the book. The owners were not aware of the book until the restaurant received one phone call, then another, and then another after the book was published. They rushed to Border’s to get a copy of the novel. “We don’t know why he picked Victor’s,” Ann Marie said. “One night the coaches got tired of pizza and burgers. We were in the Holiday Inn with another team and two girls’ softball teams showed up,” he said. The boys and girls were having a good time by the swimming pool. The coaches asked other adults to keep an eye on the boys and “the coaches sneaked off to a wonderful, old Italian place.” He didn’t recall the name when he was writing the book, but his research led him to Victor’s Italian Restaurant. Grisham’s novels usually come out in January, and he spends February on a promotional tour. The remaining 10 months he works on his next book. He was not sure what his January 2010 novel would be, but he will be publishing his first collection of short stories this fall. Would he like to visit York again? “After 22 books, I never predict where a book may take me,” he said. I’m sure if John Grisham chose to visit York again one of the colleges or a library would be happy to host him. And even take him to dinner at Victor’s. “I have a fond place in my heart for York, Pa.,” he said. After the positive publicity for York in his book, you can bet York has a fond place in its heart for John Grisham.